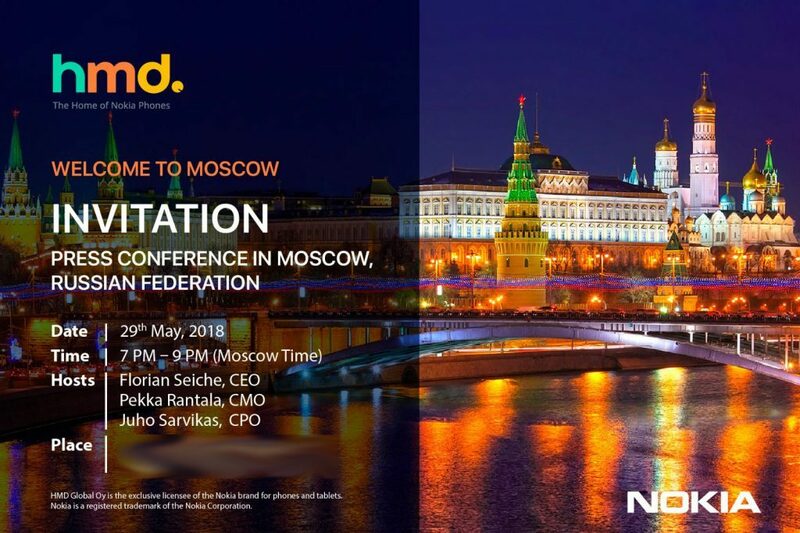 HMD Global has scheduled a press event in Moscow, Russia on May 29th where the company is expected to launch new Nokia phones. The company has started sending out media invites for the launch where the company’s CEO Florian Seiche, HMD’s CMO Pekka Rantala and CPO Juho Sarvikas will be present. The invite teaser reads “Dear friends. We invite you to worldwide premiere new Nokia phones.” This is interesting considering the company is promoting them as ‘world premiere.’ While the exact models and specifications of these phones are unknown, recently three new Nokia phones; TA-1075, TA-1105 & TA-1116 have been certified in Russia, but the names of the phones have not been revealed yet. Nokia’s 2018 line-up is already available in Russia except for Nokia 8 Sirocco and Nokia 8110 4G. If anything we might witness the launch of Nokia 2, 3 and 5 2018 editions. Either way, we should know more details as we move forward.